JQ Talks: Kiss Me Selfie Fixation Contest - RM70, 000 Worth Of Prize To Be Won! 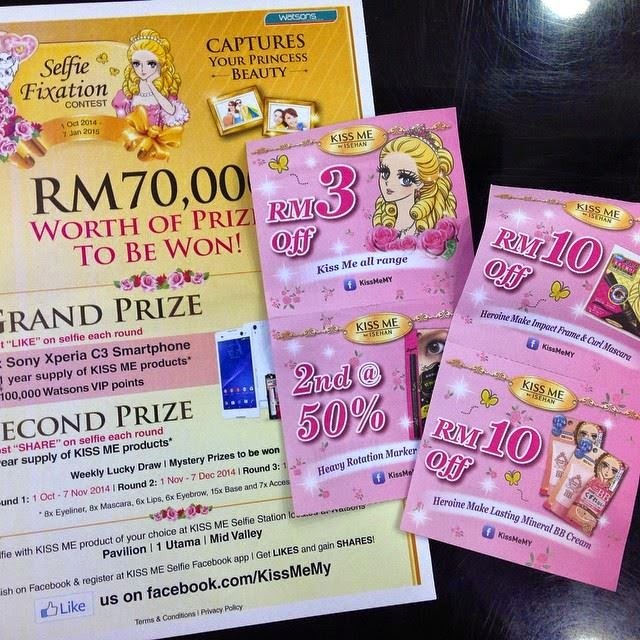 Kiss Me Selfie Fixation Contest - RM70, 000 Worth Of Prize To Be Won! 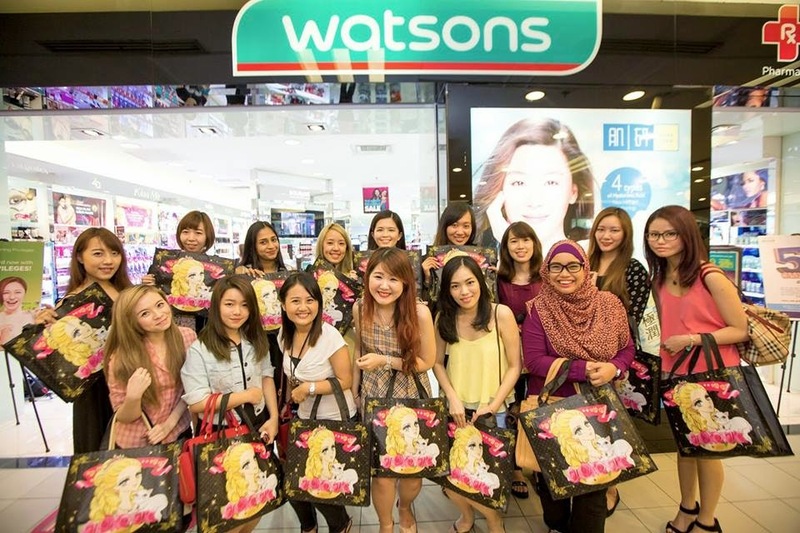 If you were wondering why so many girls were crowding in Watsons One Utama, don't be alarmed because it was probably just us trying to win ourselves 1 year supply of Kiss Me Products, Sony Xperia C3 Smart Phone and 100k Watsons points! Yup, and it's as simple as take a selfie with a Kiss Me product at a Kiss Me selfie station, post it on Facebook and stand a chance to win by gaining Likes and Shares from your friends! I participated the contest by having my selfie taken at Watsons One Utama Kiss Me Selfie Station. It wasn't much of a hassle at all, everything was just following instructions from the screen. Once you had your selfie done, they should guide you to a registration page where only those who registered are entitled to receive a mystery prize from Kiss Me. After taking your selfie, don't forget to redeem your Token Of Appreciation Kiss Me vouchers where should you make any Kiss Me product purchase on the spot, you are entitled to enter the Weekly Lucky Draw to stand a chance to win Kiss Me products worth RM100. There will be 10 winners each week, so don't forget to write your details down at the back of the receipt and give it to the Kiss Me Beauty Advisor to join the lucky draw. There are three selfie stations available around Klang Valley - Watsons One Utama, Watsons Mid Valley, and Watsons Pavilion. Contest run from 1st October 2014 till 7th January 2015. Participants with the Most Like each round (monthly) will win the Grand Prize (Sony Selfie Smart Phone Sony Xperia C3 + 1 Year supply of Kiss Me products + 100k Watsons points) while participants with the Most Share each round (monthly) will win 1 Year supply of Kiss Me products. For more information, visit Kiss Me Facebook page. 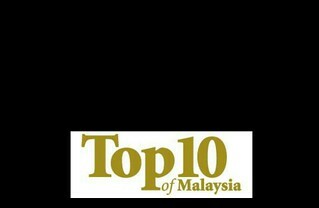 If I am around I surely go and enter this contest! Sadly I live in Johor now. the prizes are amazing!